What do you have planned for your trip to Paris this spring? Will you be sampling wines at a sidewalk café, bicycling through Parisian markets, hitting the tourist spots like the Eiffel Tower, and steeping yourself in the culture of the Musée du Louvre? Whatever is on your agenda, a trip to Paris in the springtime is always a good idea. Preparing for Your Travels: Calling France From the U.S.
From hotel reservations to calling your contacts in France, getting ready for your trip to Paris often involves some international phone calls. 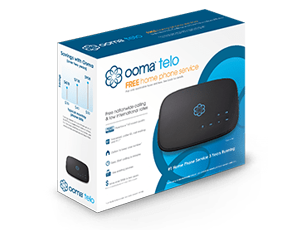 Luckily, Ooma Telo makes it easy and affordable to call abroad. Or if you’d rather pay as you go, all Ooma customers get affordable international calling rates for just pennies-per-minute rates. For example, both Standard and Premier customers pay 2.2-cents per minute for calls to France’s landlines and 19.9-cents per minute for calls to mobile phones based in France. Ooma’s international calling solution is not limited to before your trip. With Ooma’s free calling app, you can use your smartphone to access all of the great Ooma features that you used back home. With the free calling app, you won’t have to pay the high international roaming rates that many carriers charge and you won’t have to deal with swapping your phone’s SIM card. 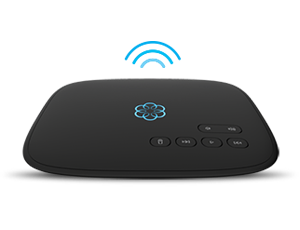 It’s a straightforward process of opening the app and placing the call with Ooma. Keep in mind that because Ooma phone calls are transmitted via the Internet, you should connect to Wi-Fi to avoid any overseas cellular data charges. When using the app in France, Basic customers can still make free, unlimited calls to any U.S. phone number, even though their physical location is overseas. Just dial like you usually would. It’s that easy! Need to call the train station to check your tickets for your day-trip to Giverny to see the gardens that inspired Monet’s paintings? Using the Ooma app to call a Paris landline costs the same rate that you had when placing calls from the U.S. But that’s not all the app can do. When traveling abroad, you can use the app to check your voicemail, and Premier customers can also receive unlimited calls just as they could back home. So even if you forgot to notify your dog walker about your travel plans, they can reach you using your same phone number without any hiccups. Making an international call to France from the U.S. does require a few more numbers than a typical long distance call, but it’s easy once you break it down. Dial 33, the country code for France. Dial the nine-digit local number. Many hoteliers and tourism agencies will accomodate English speakers, but it’s a polite gesture to begin your conversation with a French “bonjour” and a few basic French words and phrases. Tu parles anglais? : Do you speak English? Keep in mind that French etiquette can seem overly formal, however it is a cultural courtesy and a sign of respect.